The ketogenic diet is one of the most popular low-carb diets. As the interest in this diet grew, many variations were created, including lazy keto. The goal of this diet remains the same as the standard keto diet. You attempt to reach ketosis by restricting your consumption of carbohydrates. For those who are not familiar with ketosis, it is a natural state that allows your body to burn fat for energy instead of sugar. While keto is often an effective way for people to lose weight or get in better shape, some people find it too hard to follow. 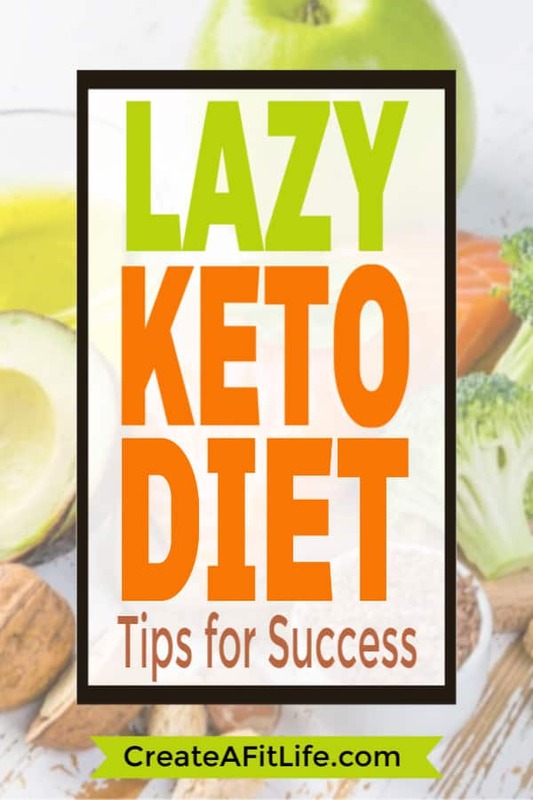 If you want to try the keto diet but do not want to track calories and macronutrients, you should learn more about how the lazy ketogenic diet works. This post may contain affiliate links. Please read our policies for more details. What Is the Lazy Ketogenic Diet? What is lazy keto and how is it different from regular keto? Instead of counting your calories and macros, you simply focus on the carbohydrates. Lazy ketogenic dieters restrict themselves to 20 grams of net carbs or fewer per day. In most cases, cutting carbs is enough to allow the body to achieve ketosis. On the regular keto diet, you need to complete various calculations to determine how much food you can eat. These calculations also determine the number of carbs, fats, and protein that you should consume each day. The first calculation determines how many calories you should consume. While the average guy needs to eat 2,500 calories per day to maintain weight, the recommended calorie intake varies based on a variety of factors. It is difficult to accurately calculate how many calories you should eat without knowing your exact body fat percentage. You also need to consider your activity level and fitness goals. The keto diet then requires you to divide the total calories between carbs, fats, and protein. Carbs and protein contain four calories per gram while fats contain nine calories per gram. Various keto ratios are used to divide the calories into these three macronutrients. On a standard keto diet, 65% to 75% of your calories should come from fat and just 5% to 10% should come from carbohydrates. After dividing the calories, you know how much carbs, fat, and protein to eat each day. These totals are called your macros. Calculating these macros can be challenging, especially when you are first starting on the diet. In fact, it is one of the main reasons why people bail on the keto diet within the first couple of weeks. The lazy version solves this problem. You do not need to calculate your macros. You simply need to ensure that you do not eat too many carbs. What Do You Eat on the Lazy Ketogenic Diet? What do you eat on this diet? As with the regular keto diet, most of your meals should consist of high-fat, low-carb offerings. Lazy keto meals should provide a balance of nutrients by including fresh, healthy ingredients. However, the only requirement is that you restrict your carbs. You can eat whatever you want with this diet if you avoid eating more than 20 grams of carbohydrates per day. You can have snacks, frozen dinners, and complete junk. You just need to count the carbs. The danger in eating whatever you want is that you may not get the nutrition that your body needs. Cutting sugar out of your diet can be a good thing but you need to replace it with something nutritious, such as healthy sources of fat and protein. Does the Lazy Version of Keto Work? With the lazy keto lifestyle, you do not need to calculate macros or count calories. The lack of structure is why some people are skeptical about following the lazy version of the ketogenic diet. While regular keto also restricts your carbs, it requires you to consume healthy fats. Cutting carbs is only half of the equation. When you reach ketosis, your body begins to produce ketones, which lets your body utilize fat for energy. Your body normally relies on sugar, which comes from the carbs that you give up for the diet. If you do not get enough fat or sugar, you may not have enough energy to get through the day. The fat also helps keep you satiated, which helps curb your cravings for sugar-filled carbs. 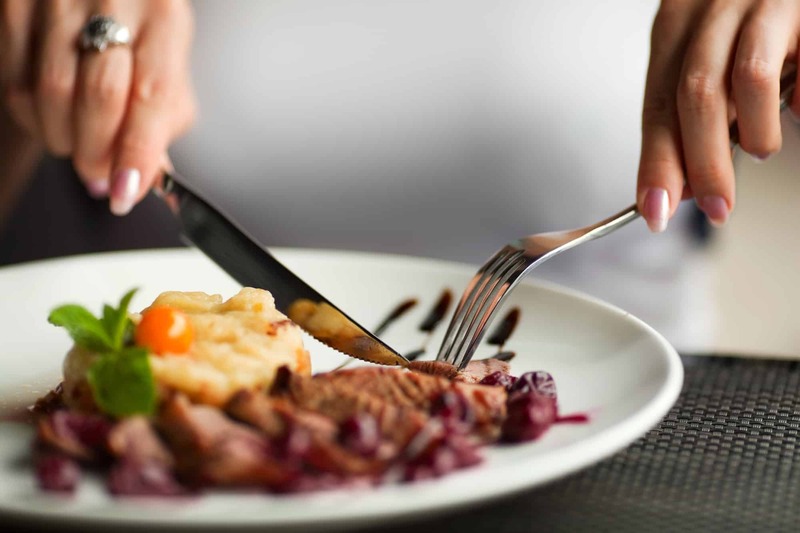 When you follow the keto diet properly, you should not feel hungry between meals. In fact, most keto dieters do not experience hunger pangs. Besides fat, you also need to eat enough protein. The ketones that are produced while your body is in ketosis help break down the proteins for energy as well. However, if you consume a higher ratio of protein to fat, your body will not remain in ketosis. If you skip the protein, you will not get the amino acids needed to maintain muscle mass and strong bones. The lazy version of the diet may work for some individuals if they continue to eat the right balance of carbs, fat, and protein. While you do not need to track your macros or count calories, you should attempt to include plenty of healthy fats in your meals. You can get good fat or bad fat from the food that you eat. While eating a fast food meal may give you plenty of fat, most of the fat that you get is unhealthy trans fats. For many years, the health community believed that saturated fats were responsible for high cholesterol and clogged arteries. They now know that there is no link between saturated fats and these health issues. Healthy sources of saturated fat include red meat, high-fat dairy, and plant-based oils. Red meat, such as beef and lamb, is also a great source of protein. High-fat dairy includes ghee, butter, heavy cream, and whole milk. The plant-based oils should be used in place of processed or heated oils. Corn oil, canola oil, and peanut oil tend to include a lot of omega-6 fatty acids. While you need some omega-6 fatty acids, most people already get more than enough from other foods. Unsaturated fat is separated into two categories: monounsaturated fat and polyunsaturated fat. You can get monounsaturated fat from nuts, avocados, olives, and oils made from some of these foods. For example, macadamia nut oil, avocado oil, and extra virgin olive oil are a few of the most commonly used oils in the keto diet. Polyunsaturated fats are your best source for omega-3 fatty acids. These foods include some of the sources of monounsaturated fat, such as nuts and avocado oil. You can also get polyunsaturated fat from fatty fish such as tuna. Trans fats are the fats that you want to avoid. These fats were created to help stabilize unsaturated fat and increase the shelf life of certain foods. The worst sources of harmful trans fats can be packaged and processed foods including chips, coffee creamers, cookies, crackers, and frozen meals. Fast food, fried foods, and frozen doughs also tend to contain a lot of trans fats. Along with healthy fats, your body needs healthy sources of protein. The best sources come from animals as they contain essential B vitamins and amino acids that you cannot get elsewhere. You may also get some protein from nuts, dairy, and eggs. You should include a diverse selection of meals in your diet each week. Eating a variety of foods ensures that you receive a variety of nutrients. If you are not counting fat and protein, eating a wider variety of foods may also help you maintain ketosis. You should also remember to find healthy sources of fat. Basically, you may not need to count fat and protein. However, you should try to make healthy choices. To help you get started on this diet, here are a few of the best lazy keto recipes. These options cover breakfast, lunch, and dinner. A lot of keto breakfast ideas require eggs. Eggs are cheap and good for you. One egg typically contains about six grams of protein, five grams of fat, and zero carbohydrates. You can also eat as many as you want. Studies show that a healthy individual can eat several dozen eggs per day without risk of developing clogged arteries. However, it is still important to include variety in your breakfast. The following lazy keto recipes include a mixture of egg-based breakfasts and eggless breakfasts. If you want to avoid eggs for breakfast, sausage and peppers keto bake is a great option. It includes filling sausage, peppers, and mozzarella cheese. You should get about four servings. If you are cooking for one, do not cut the ingredients to make a smaller batch. You can store the leftovers for breakfast or lunch for the next couple of days. In fact, you may want to double the ingredients. You can reheat the leftovers in the microwave for about two minutes. Vegans can still follow the keto diet. With vegan coconut flour pancakes, you get a little bit of fat and protein with no carbs. However, you can add a tablespoon or two of raw honey. The pancake batter is made with coconut flour and almond milk as alternatives to white flour and cow milk. It is a quick and filling meal that can be supplemented with other foods such as scrambled eggs and cheese or fresh blueberries. The keto western omelet is a basic omelet with diced ham, bell pepper, and onion. It also includes shredded cheese and heavy whipping cream or sour cream. These ingredients help add fat to the meal, which is important when following the lazy version of keto. You can also substitute any of the added vegetables or meat with your own personal options. Breakfast is the most important meal of the day as it provides you with fuel to help you get through the morning. However, you also need a filling lunch. There are dozens of easy-to-prepare keto lunch recipes that you can prepare the day before and heat up at work or school. There are also a few options that taste great cold. Start with these two great choices and then start adding more lunch recipes to your menu. With 20-minute keto meatballs, you can prepare a batch of meatballs in just 20 minutes. You only need a few ingredients to prepare these tasty treats. You may even prepare these the day before and enjoy them heated the next day. They taste great on their own. Another option is to pair them with a fresh salad to create a well-balanced lunch. However, they taste best when reheated instead of served cold. When you eat keto bacon and spinach frittatas, you get vegetables, meat, and eggs. It is a well-balanced meal that you can prepare for breakfast and save the extras for work. Some people prepare these frittatas the night before and eat them cold for lunch. If you want to add a little extra fat, frittatas taste great with a dollop of sour cream. For dinner, you should base your lazy keto meals around a source of protein. In fact, starting with the protein is a good way to plan any meal. You can then decide on the types of fats that work best with your choice of protein. If the protein and fats do not include a lot of carbohydrates, you can include an item or side. For example, chicken is a common protein source. You may get fats from the dressing that you serve with the chicken or cheese. Broccoli is a healthy source of carbs and works well with chicken. Here are a couple of examples that you can use to start planning your dinners for the keto diet. Casseroles are simple meals to prepare. You typically just throw everything together and bake. With this basic chicken casserole recipe, you only need four main ingredients and some spices. It is made with chicken, cream cheese, mozzarella cheese, and a cup of salsa verde. Besides being easy to prepare, casseroles are also easy to store. You can cover and refrigerate the leftovers, providing instant meals for the coming days. Creeate a Fit Life recommends trying chicken casserole with cream cheese. Baked potatoes are full of empty carbs. They lack nutrition but taste great when stuffed with cheese, sour cream, and chives. You also cannot eat them and stick to the lazy version or strict version of the keto diet. With loaded cauliflower, you use cauliflower as a substitute for potato. It is a filling meal that is great on its own or served as a side with a meat-based dish. We recommend loaded cauliflower with cheese and bacon. Your lazy keto meal plan should include a selection of healthy options. While the lazy version of the keto diet does not require you to keep track of fat, protein, or calories, you should try to eat healthy meals. You also need to get enough fat in your diet to reach and maintain ketosis. Without fat, you do not get the energy source that your body needs. If you do not pay attention to the nutritional information for the food that you eat, you are less likely to gain the full benefits of the keto diet. When you first start the lazy version, you should still look at the nutrition facts for the meals that you prepare. Look at the total fat, carbs, and protein to gain a better sense of the typical composition of your favorite meals. If you at least look at the nutrition facts, you are more likely to start making better decisions about the food that you choose. It is also essential that you try to find healthy sources of fat and protein. As mentioned, filling up on low-carb frozen meals or snacks will not help you get in better shape or lose weight. When starting any diet, you will likely need to give up some of your favorite foods. You may find it easier to stick to the lazy keto diet when you find suitable alternatives. You should try to find ways to recreate the taste of some of your personal favorites. For example, there are many keto-friendly recipes that use riced cauliflower as a base for making pizza crust. You can also use almond flour as a replacement for white flour in many recipes. Compared to the standard keto diet, the lazy keto diet may provide an easier option for some dieters. The drawback to the lazy version of this diet is that you may not reach ketosis. You may simply deprive your body of energy. If you want to increase your chances of burning fat for energy through ketosis, you need to get enough fat in your diet. Restricting your carbs may not be enough. When trying the lazy version of keto, you should still eat well-balanced meals that offer a combination of healthy fats, protein, and limited carbs.